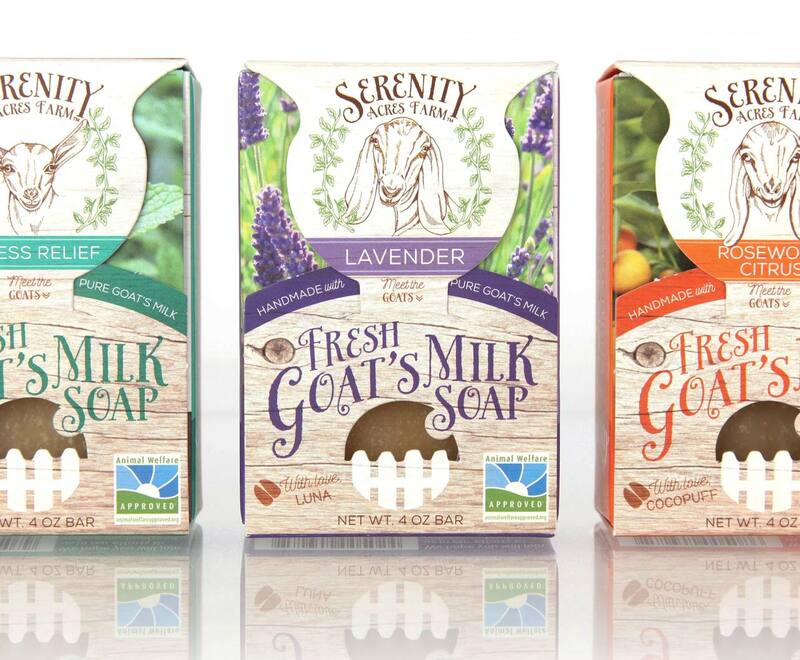 The tale of Julia and Wayne Shechuk’s furry farm-heroes was the key to Pulp+Wire’s creation of packaging for Serenity Acres Farm’s all natural, cruelty-free, goat-milk soaps. 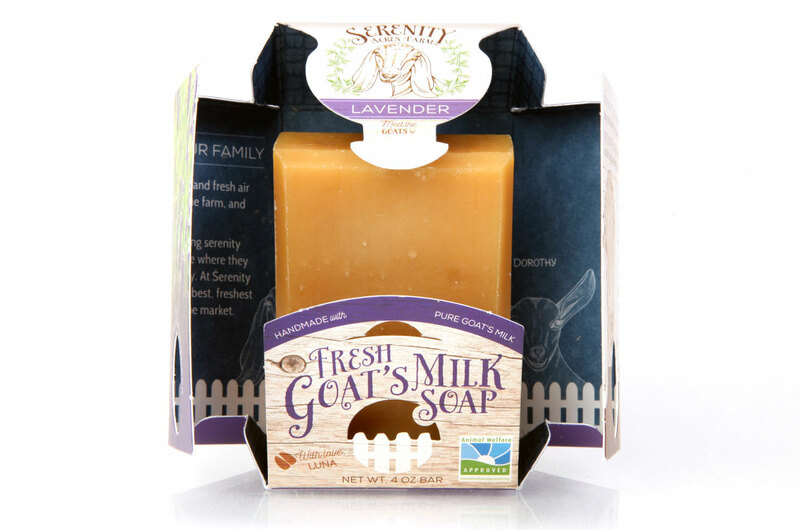 Whimsical portraits of each critter were featured on box panels that also included each goat’s birth history, favorite form of farmyard fun, and astrological sign. 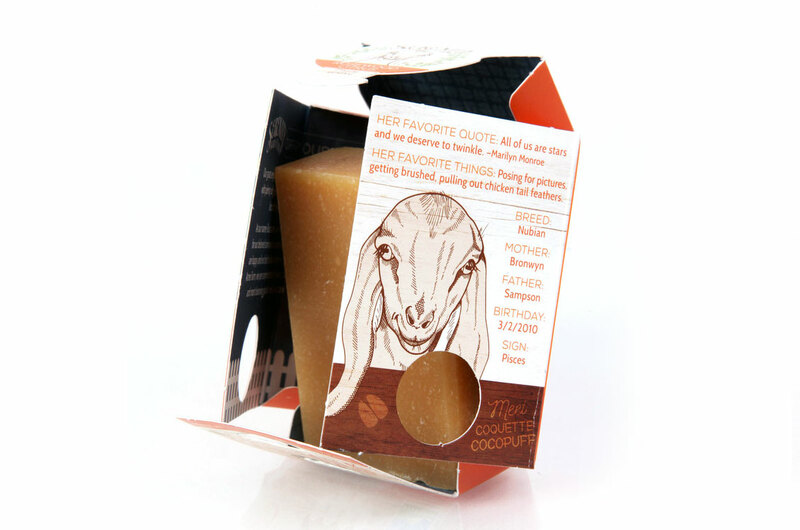 The package’s ingenious design butterflied open to share even more details of the farm’s style and spirit before revealing the beautiful bars nestled inside. This unfolding story of one Florida farm’s superstars also found a way to peak interest while it still sat on the shelf. 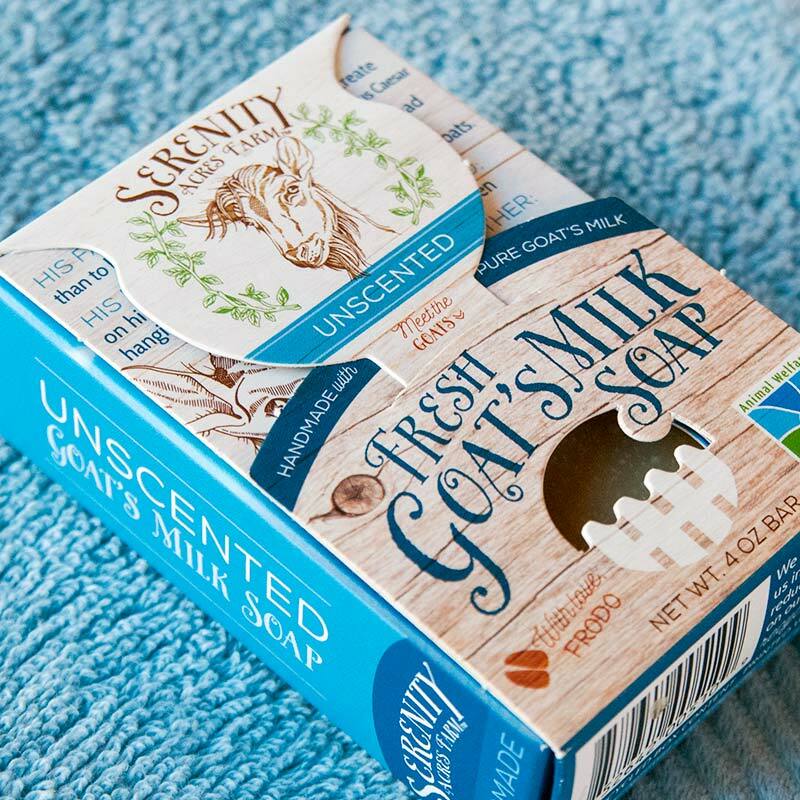 A keyhole cutaway on the box’s front made each soap’s fresh fragrance available to anyone wanting to sniff out the story inside.